Seven goals of 12 made for the year were achieved: 1. Launched online legal resource for incarcerated people 2. Initiated RJ & solution-focused school projects 3. Continued Family law clinic at women’s prison (WCCC) 4. Continued providing and studying Honolulu federal court and probation reentry circles: we provided five federal court clients and their loved ones reentry circles. 5. 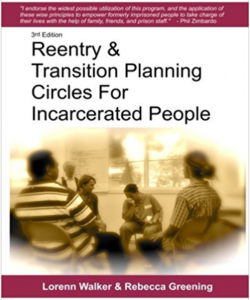 Continued WCCC reentry circles: provided three imprisoned women and their loved ones at the women’s prison with reentry planning circles. 6. Provided Solution-Focused Mediation & Restorative Facilitation Course for the second time for imprisoned women at WCCC. 7. Completed and published article about how teen court is not a restorative practice: https://papers.ssrn.com/sol3/papers.cfm?abstract_id=3294303 Lorenn Walker, Keyria Rodgers, and Mark Umbriet co-authored it. The five goals not achieved or that were only partly achieved included our biggest disappointment is the state of Hawai’i’s plans for new jail and prison construction. We advocated against building new jails and prisons in the state, but Hawai’i continues moving forward to build new jails and prisons on all major islands.